GE Healthcare and Rockwell Automation will combine their automation, IT and single-use solution expertise to build bio-processing operations for the digital age. The two companies will help bio-pharmaceutical companies create flexible and scalable facilities of the future, focused on rapid response to market demands, streamlined production technologies and adaptable manufacturing environments. GE Healthcare has also joined the Rockwell’s Partner Network Program as an OEM to help offer the state-of-the-art distributed control systems. Gain greater efficiency with their single-use equipment integrated with a bio-process automation system that improves reproducibility, repeatability and compliance. Digitize batch files and processes to reduce review times by weeks and even achieve real-time reviews. 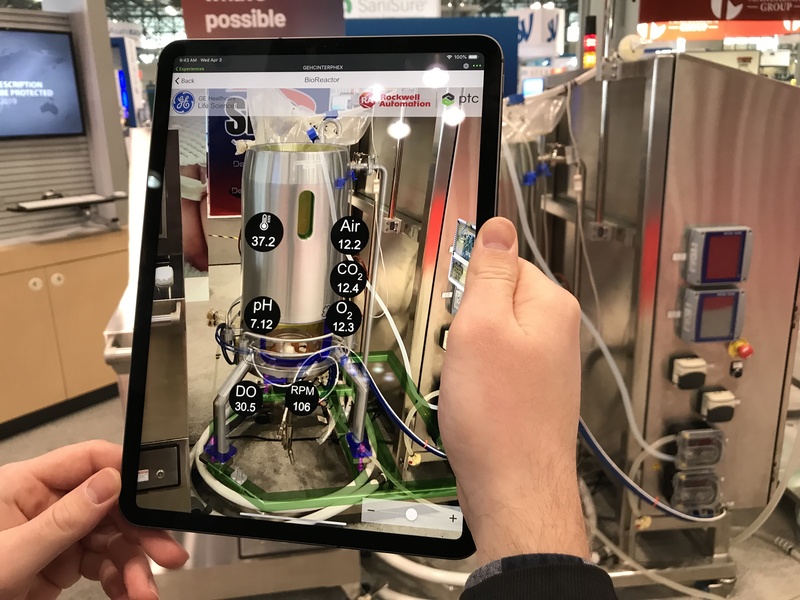 Deliver instructions to workers with augmented reality to improve batch execution, operations, equipment setup and training.